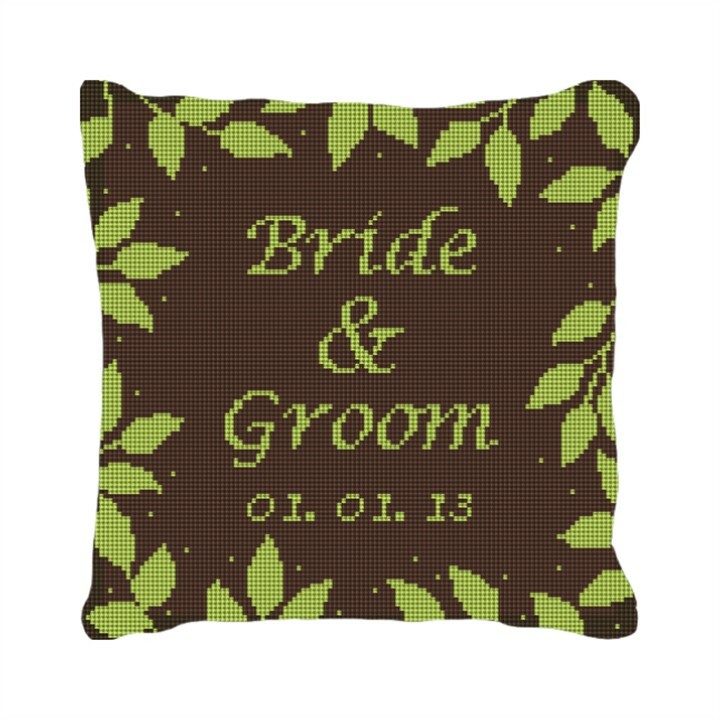 This needlepoint ring pillow really stands out. The contrast of the leaves against the dark background gives it a real presence. Think of it as a garden come to life, and then think how that fits perfectly with the couple's journey toward the perfect beginning.